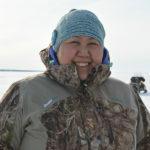 Tasha Bird is Alaska Native currently living in the Village of St. Mary’s, Alaska, originally from the Village of Emmonak. Tasha’s Yupik name that was given to her is Turiaq. She is 25 years old, and her parents are Herman and Lenora Hootch. Tasha has two daughters, Desiree who is 4 and Nia who is 1. She graduated from Emmonak High School in 2008, and since then has been working with the Emmonak Women’s Shelter, starting as an On‐call Advocate, and in 2010, started working as a Rural Outreach Coordinator. She has learned so much over the years working with lots of wonderful ladies, and is happy to say that she is doing her best in trying to start a Shelter in St. Mary’s. Her passion is to change our way of life, to go back to the way her parents and grandparents lived, so that when she is older and her girls are grown, the rates of domestic violence and sexual assault will be a lot lower then they are today. 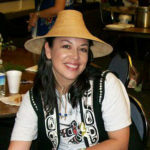 Michelle Demmert, Tlingit, Eagle, Ḵaax̱ʼoos.hittaan clan and a current delegate and elected Chief Justice for the Central Council Tlingit and Haida Indian Tribes of Alaska, has worked in various capacities of advancing domestic violence protections for women and children since 1995. As the presiding judge at the Chehalis tribe for over 10 years, she assisted with amending code provisions that provided greater protections for women and children, as well as developing a court process that holistically addressed all participants. During this time, she also assisted the Northwest Tribal Court Judges’ Association with the creation of a bench book on processing domestic violence cases, establishing a full faith and credit process with the state for registering tribal Orders of Protection and participated as a significant contributor to a Tribal Prosecutor’s Pilot Project and Manual for best practices in this area. As a judge, Ms. Demmert issued Orders of Protection as necessary for all member tribes of the Northwest Intertribal Court System, as well as presided over numerous criminal domestic violence cases, both bench and jury. Ms. Demmert joined the Northwest Justice Project’s Domestic Violence unit for a brief time before being recruited to the Tulalip Tribes’ Office of Reservation Attorney, where she continues to work on a part‐time basis. While at the Tulalip Tribes, she was the primary author of their complete revision of the Domestic Violence code, which includes provisions for exercising Special Domestic Violence Court Jurisdiction (SDVCJ). 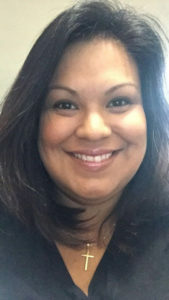 She has been the named primary point of contact for this process from the beginning, and continues to represent the Tulalip Tribes on the Intertribal Work Group for SDVCJ and has presented about this process at many tribal, state, federal and university forums, including a presentation to the Department of Justice staff during Domestic Violence Awareness month in October 2015. 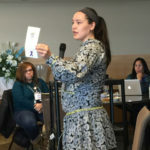 She has provided testimony during the Office of Violence against Women’s (OVW) annual consultation on behalf of the Tulalip Tribes, as well as an individual Tlingit tribal member to bring awareness to Alaska specific issues. She has volunteered with the Alaska Native Women’s Resource Center during 2015 and presently, and has assisted Alaska Native villages with written testimony to OVW. Michelle is a graduate of the University of Washington for both her law degree and her BA in Psychology. Michelle is actively engaged in the Alaska commercial fishing industry prior to her practice of law. 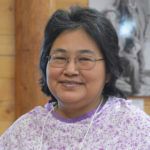 Dawn Jackson, a Lingit tribal citizen of the Organized Village of Kake (hereinafter OVK) in Kake, Alaska, resides in her hometown of Kake, working as the Executive Director at her tribal office of OVK. Prior to Dawn’s employment at OVK in 1997, Dawn completed her Master’s Degree in Anthropology at the Univ. of British Columbia. During the 20+ years of employment with OVK, Dawn has worked in the capacity of Executive Assistant, Grant‐writer, Operations & Planning Director, and now as Executive Director that is involved in community planning projects to encourage economic, cultural, and educational growth in all generations of Kake. Duties at OVK include, but are not limited to: Oversight of 25+ staff, work with 7‐person Council, reports for grants, policies, grant writing, grant management, human resources, & accounting. Dawn is a descendant of educators, and a very proud Tsaagweidi woman raising 2 children in Kake. Passions include being a mother, reading, learning, practicing Lingit/Haida art/weaving, learning about local foods, plants, & medicines, Girls on the Run assistant coach, and singing and dancing with the Keex’ Kwaan Dancers. 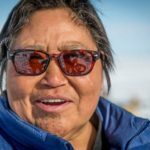 Aucha Kameroff is originally from the Yup’ik Village of Emmonak, Alaska and has been living in Kotzebue, Alaska, a village in Northwest Alaska since 2002. She currently is the Juvenile Probation Officer/District Supervisor for the State of Alaska, Division of Juvenile Justice (DJJ) for the Kotzebue District office. In 1983, Ms. Kameroff began her career in the Criminal Justice field when she worked as a Village Police Officer in her home Village of Emmonak where she had to deal with all crimes, including domestic violence. In 1986, she moved to Anchorage where she started working as a Youth Counselor in DJJ at the girl’s cottage at McLaughlin Youth Center. 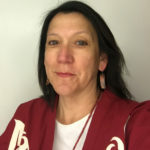 In 1989, after being promoted to Youth Counselor III, she moved to Bethel to work with the Yup’ik population at the Bethel Youth Facility (BYF) and having directed the program unit for several years, she decided to return to school. In 1998, she acquired her Bachelor of Arts degree in Criminal Justice Administration from Boise State University; shortly after her college graduation, she worked for the State of Alaska, Department of Corrections as the Institutional Probation Officer at the Yukon Kuskokwim Correctional Center in Bethel. In June 2000, Ms. Kameroff moved to the private sector and directed Tundra Center, Cornell Company’s 85 bed coed facility for adult offenders in Bethel, Alaska until her move to Kotzebue. Ms. Kameroff has worked in the criminal justice field for 33 years and plans to continue working for the next 7 to 10 years in Kotzebue. Ms. Kameroff has 7 grandchildren and is an avid hunter, fisher, trapper and gatherer. She has a passion of teaching her grandsons and others all the skills, knowledge and traditions of hunting, fishing and trapping as passed on to her from her elders. Ms. Kameroff believes all people need to be treated with dignity and respect and has been a strong spokesperson for youth in the Nana region. Candy Keown is a tribal member of the Hoonah Indian Association in Hoonah, Alaska. She is Tlingit and from the T’akdeintaan clan. Hoonah is located in Southeast Alaska about 45 air miles from the capital city of Juneau. Candy moved to Hoonah at the age of 10 and has kept Hoonah as her permanent home since that time. She graduated from Hoonah City Schools in 2005 at which time she left Hoonah to further her education at Stanford University. She graduated from Stanford in 2009 with a BA in Sociology and a Psychology Minor. She returned to Hoonah immediately after college in hopes of using her education to give back to her community. Candy spent a year and a half working at the SEARHC clinic in Hoonah as an intermittent Patient Access Representative before getting hired on at the Hoonah Indian Association as the Human Services Director in April of 2011. This position is responsible for all the social services the Tribe provides including the General Assistance Program, the Child Care Assistance Program, as well as the Indian Child Welfare Act Program. The Indian Child Welfare Act allows the tribe to be involved in state custody cases involving members of the tribe. She has firsthand knowledge of the struggles community members face in rural Alaska. 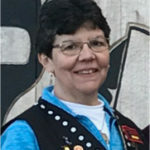 Through her position at the Hoonah Indian Association Candy has been an active member of the Hoonah Fun & Fit Partnership, the Hoonah Behavioral Health and Suicide Prevention Group, Parents and Teachers Association, and the Hoonah Domestic Violence Advisory Board. Since 2013, Candy has worked with the Alaska Native Women’s Resource Center and National Indigenous Women’s Resource Center to develop an Alaska Native specific curriculum helping to develop local village‐based responses to violence against women. In 2016, Candy worked with the Hoonah Indian Association to apply for and then successfully received an award from the Office on Violence Against Women, U.S. Department of Justice to support efforts to keep Hoonah women and children safe. Candy is passionate about helping make her community healthy and safe for everyone. Naaqtauq Shylena (Shy) Monroe is 24 years old and lives in Kotzebue, Alaska, which is 32 miles above the Arctic Circle. She has been a part of the Northern Lights Eskimo Dancers for 15 years. She has learned many parts of her Inupiaq Culture from skin sewing, beading, living off the land and more. She is currently the Maniilaq Family Crisis Center’s Manager overseeing domestic violence shelter services and also works at Putyuk Children’s Home as a Relief Councilor. Ms. Monroe graduated from the Alaska Career College with her Certification in Medical Assisting and also Certification as a Phlebotomy Technician and has taken many classes through the University of Alaska Fairbanks and some from the University of Southeast. She is currently in school to obtain her Bachelors in Counseling in Psychology with Alaska Pacific University. Shy has been involved with Maniilaq Family Crisis Center since June 2015. Striving to be more involved in our communities and reaching out to show our support to each and every community surrounding Kotzebue. Shy is a mother to her step son who is 9 and her new baby boy born in April 2017. She is greatful for her fiancé being supportive of her work and appreciates his help and commitment to his family. Roberta Moto is a Wellness Program Manager with the Maniilaq Association working out of the Deering Clinic. She transitioned from the Village Based Counselor position to the Wellness Program Manager in November 2014. Her parents are Evans and Flora Karmun of Deering, Alaska. She has lived in Deering since 1979. She has been married to her husband Ron for 29 years, and they have six kids. Roberta is a grandmother to 5. Roberta started out college at the UAF campus and majored in Elementary Education. She earned her Associates Degree in 2000 in Elementary Education with a minor in Bilingual Education. Roberta worked in the Social Work field as an ICWA Coordinator for the Native Village of Deering from 1993–1997. She went back to the IRA as Administrator from 2001–2006. Roberta started with Maniilaq Association as a Village Based Counselor in July of 2006. She earned her RHS certificate in May of 2008. After the RHS program, she began taking Social Work classes through UAF distance delivery. 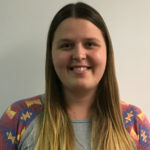 She completed her Social Work internship under Michelle Woods working with the Teck John Baker Youth Leaders Program and is nearly completed with her Bachelors in Social Work. Roberta is very excited to be working in the Wellness Program. Joyce Skaflestad is a tribal member of the Hoonah Indian Association in Hoonah, Alaska. She is Tlingit and from the Teikweidi (Brown Bear clan). Her Tlingit name is Xeishkuk.eh (close phonetic pronunciation is Eshkook eh). She received her Tlingit name from Frank Jack, Kah Geis Geit, our most precious clan leader of the Shaanux Hit (Mountain House of Angoon, Alaska). Her mother, Emma Brown was from the Saanya Kwaan, Saxman, Alaska. Her father, Hubert “Brownie” Brown was born in Canada and adopted on the Raven side by Mr. and Mrs. Sarabia of Hoonah, Alaska. Joyce is the wife of Windy Skaflestad and honors his memory by recognizing the T’akdeintaan. She has three biological children and 4 children through marriage to Windy and has had numerous other children wander into her life that she helped to raise. Joyce was born and raised in Juneau but moved to Hoonah as a teenager with Don and Fay Gallagher during the “Mailboat Forester” days and has lived there for approximately 50 years. Over her lifetime in Hoonah she has held many jobs and served in many volunteer positions. She has been a USPHS Village Health Aide; a bookkeeper for L. Kane’s grocery store; an assistant librarian; school secretary/bookkeeper; a bank teller/loan officer for the first bank in town – B.M. Behrends Bank; an office manager for Hoonah Cold Storage; worked 3 years at a king crab cannery at Sand Point, AK; worked 10+ summers as a fish cannery worker at Excursion Inlet Packing Company; she was a union representative at the fish cannery; she was sole‐owner of a Bookkeeping Service in Hoonah; and worked as a State Magistrate Judge/and Coroner in Hoonah and Yakutat; she retired from her position as State Magistrate and worked as an Interim‐Postmaster and Clerk at the Hoonah Post Office. Joyce left the Post Office to pursue her passion of assisting women who are victims of domestic violence and serves as the newly hired Domestic Violence Victims’ Advocate with the tribe. Joyce has been a Cub‐Scout Den‐Mother; Sunday school teacher; Youth leader; Women’s Auxiliary President; School Board secretary and president; Secretary for the Planning & Zoning; Secretary for the Economic Development Board; served two‐terms as a Hoonah City Councilperson; was appointed by the Presiding Judge of the First Judicial District as a Deputy Training Judge (Yakutat to Ketchikan); served as a Standing Master for the Superior Court; first vice‐president to the Statewide Magistrate’s Association; and was appointed by Governor Parnell to serve as a Commissioner for the Alaska State Commission for Human Rights. Heidi Vantrease is a Tlingit from southeast Alaska and has lived in Kake, Alaska for most of her life, where she is currently employed with the Organized Village of Kake as a Domestic Violence Advocate. As an Advocate, Ms. Vantrease has helped coordinate domestic violence community awareness trainings and events to bring about change in the community now and for future generations. She also has worked closely with the local school district and the domestic violence shelter SAFV out of Sitka, AK, to provide educational material for teens and promote healthy relationships. Finally, Ms. Vantrease works to strengthen partnerships with other first responders in Kake and the southeast region to increase safety and services to victims of domestic violence. Prior to her employment with OVK, she enjoyed being a stay at home mom and a child care provider for her nieces and immensely enjoyed that time and season in her life. She enjoys making a positive difference in the community through working in the church, working with youth, family and anyone who needs help. Some of her hobbies include reading, weaving with red and yellow cedar bark, ravenstail weaving and being outdoors. Her goal in the program is to promote healthy families and community, and help bring positive and lasting change through prevention work, education and outreach.